Is gun ownership a legal right in Canada? 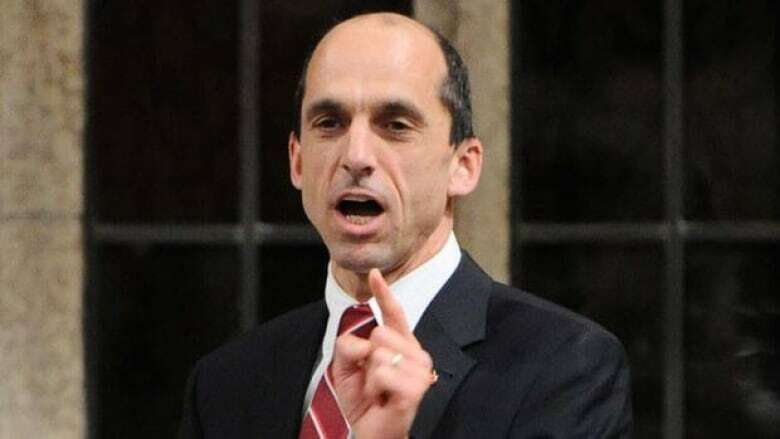 While announcing planned changes to Canada's gun laws last week, Public Safety Minister Steven Blaney told a Powassan, Ont. crowd that "to possess a firearm is a right, and it's a right that comes with responsibilities." The Canadian Press put Blaney's statement to its Baloney Meter test. Public Safety Minister Steve Blaney Blaney has not since clarified what he meant when he said possession of firearms is a 'right,' nor has his office responded to several inquiries about whether the minister was stating government policy. "To possess a firearm is a right, and it's a right that comes with responsibilities." — Public Safety Minister Steven Blaney at a news conference in Powassan, Ont., while announcing planned changes to Canada's gun laws, July 23, 2014. The Canadian Press has examined Blaney's statement and put it to its baloney meter test — a dispassionate examination of political statements that culminates in a ranking of accuracy. Spoiler: On a scale from "no baloney" to "full of baloney," the claim would appear, from a strictly legal standpoint, to meet the criteria for a "full baloney" grade. By law, there is no right in Canada to possess firearms. That right, say advocates, is deeply entrenched in the U.S. Constitution, and provided for in the Second Amendment that was adopted Dec.
15, 1791, as part of the United States Bill of Rights. "Canadians, unlike Americans, do not have a constitutional right to bear arms," the high court stated in 1993, in a decision over the possession of convertible semi-automatic weapons. "Indeed, most Canadians prefer the peace of mind and sense of security derived from the knowledge that the possession of automatic weapons is prohibited," said the court. Bruce Montague was charged with several weapons offences after police found more than 200 firearms and 20,000 rounds of ammunition at Montague's home in northwestern Ontario. Montague didn't renew the registrations on his weapons, convinced that he had a constitutional right to bear arms without government interference or regulation, despite the passage of Bill C-68, the Firearms Act, in 1995. Montague argued that he had "a constitutional right to possess firearms for self defence" derived from the constitution of Britain. He pointed to the preamble of the Constitution Act, 1867, Canada's founding constitutional document, which in his view imported the English Bill of Rights of 1689, which states in Article 7: "That the subjects which are Protestants may have arms for their defence suitable to their conditions and as allowed by law." Montague further argued that in 1982, this historical right was shielded from any ordinary legislation by section 26 of the Charter of Rights and Freedoms, which reads: "The guarantee in this Charter of certain rights and freedoms shall not be construed as denying the existence of any other rights or freedoms that exist in Canada." Montague is facing further legal troubles after the Ontario Court of Appeal further ruled last month against his challenge of the Criminal Code's automatic forfeiture provisions. That, after a judge ordered most of his weapons cache — including sub-machine guns, assault rifles and sawed off shotguns — be turned over to the province of Ontario. He may also lose his house to forfeiture. The right to gun ownership in Canada has been far from universally accepted throughout the country's history, says Saint Mary's University associate professor Blake Brown. Many 19th-century lawyers — including Canada's first prime minister, Sir John A. Macdonald — believed in a limited right to bear arms, Brown wrote in his book, Arming and Disarming, a History of Gun Control in Canada. An 1869 law that prohibited people from carrying "offensive weapons" did not mention firearms. During his tenure as prime minister, Macdonald generally opposed new gun laws, arguing that "citizens needed arms to protect themselves from American criminals who crossed into Canada," wrote Brown. And even though the British Bill of Rights declared a guarantee of arms to men "for their defence suitable to their condition," the federal government declared that right invalid in 1885, because it deemed aboriginal peoples incapable of full citizenship and didn't want to afford them such a right. Skip forward 130 years to a recent news conference where Public Safety Minister Steven Blaney outlined proposed changes to Canada's gun laws, publicly reopening the debate by stating that "to possess a firearm is a right." Blaney has not since clarified what he meant by "right," nor has his office responded to several inquiries about whether the minister was stating government policy. "Quite simply, (Blaney) is wrong," said the coalition's Wendy Cukier. But gun ownership is a rights issue, says Sheldon Clare, president of Canada's National Firearms Association. "It is time to challenge that falsehood — firearms control is not a public safety issue," Clare wrote recently on his association's website. "It is a property and personal rights issue." Governments since Confederation have framed laws that are much more in line with gun possession being a "privilege" that is regulated and licensed, similar to laws that allow Canadians to drive cars. However, there remains a strong divide on the issue between gun control proponents and advocates of the right to own firearms. For those reasons, Blaney's statement earns him a rating of "full of baloney." Do Peter MacKay's claims about female judges hold water? Baloney meter: Do byelection voters punish the governing party? Baloney Meter: Are there discrepancies in the CRA's Heartbleed timeline?